Jimmy Rankin just moved from Nashville to Nova Scotia after spending 7 years in Nashville. He is celebrating his move by releasing his brand new CD entitled, MOVING EAST on Sept 28/18. The CD is pure East Coast, a homecoming album featuring true stories, tall tales and bittersweet ballads and the classic full rock sound that Rankin helped pioneer. 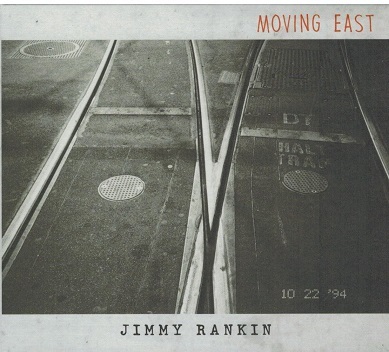 Rankin has made an unapologetically East Coast record with a new raw unsentimental and current edge and putting the party back in the kitchen says Jimmy. The CD was produced by award winning music artist Joel Plaskett and it appeals to young and old alike. Jimmy is one of the most outstanding Canadian songwriters and wrote such classics as, North Country,You Feel the Same Way Too and the Juno winning single, Fare The Well Thee which was voted the No 1 East Coast song of all time by CBC listeners across Canada. A fine album by Jimmy and we forsee many award nominations for this outstanding album says Atlantic Seabreeze-a winner all the way with a 5 star rating out of 5 stars. For more information regarding Jimmy and his music, refer to his website, address posted above.